Michael Spavor, left, and Michael Kovrig. More than 100 top academics and former diplomats have called on Chinese President Xi Jinping to release two Canadians detained in what has become a heated dispute over the arrest of a Huawei executive in Vancouver. 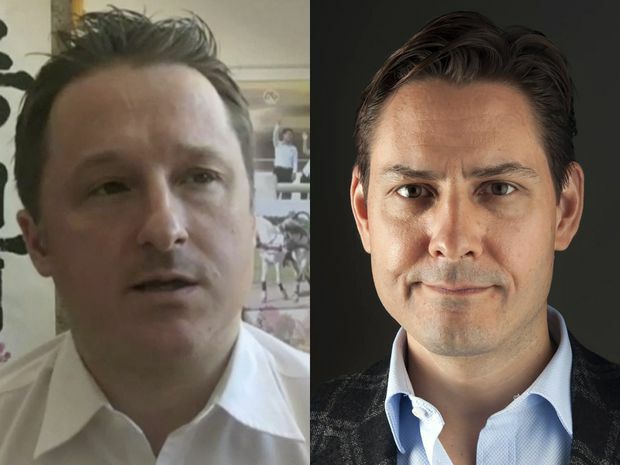 By seizing Michael Kovrig and Michael Spavor days after the Dec. 1 arrest of Meng Wanzhou, the daughter of Huawei’s founder, Chinese authorities have sent a message that forging cross-border connections and seeking the exchange of ideas “is unwelcome and even risky in China,” according to an open letter published Monday in The Globe and Mail and signed by 143 people from nearly 20 countries. People keen on “building genuine, productive and lasting relationships must now be more cautious about travelling and working in China and engaging our Chinese counterparts,” says the letter, penned by friends of Mr. Kovrig and Mr. Spavor. The signatories include six former Canadian ambassadors to China, former British foreign secretary Malcolm Rifkind, former Australian foreign minister Gareth Evans, former British governor of Hong Kong Chris Patten, former U.S. deputy assistant secretary of state Susan Shirk and former senior director for Asian affairs at the U.S. National Security Council Evan Medeiros. Mr. Kovrig is a former diplomat on a leave of absence from the federal government to work as an analyst with the International Crisis Group, a non-governmental organization that works to prevent and resolve armed conflicts. Mr. Spavor built a business connecting investors, athletes and tourists with North Korea. Chinese state security detained both men on Dec. 10, days after Chinese authorities threatened serious consequences if Canada did not immediately release Ms. Meng, whose extradition the United States has sought on allegations of bank fraud related to the violation of sanctions against Iran. Both men are being interrogated without legal representation on allegations of endangering China’s national security. China has said it is acting lawfully. Western observers, however, have warned that Beijing is engaging in “hostage diplomacy.” The letter, with its roster of international signatories, is intended to show that China’s response is being felt far beyond Canada. Ottawa has sought to send a similar message by seeking support from its allies. Notable academics and policy specialists, among them Geremie Barmé, Jerome Cohen, Shin Kawashima, Bonnie Glaser, Rory Medcalf, Minxin Pei, Ely Ratner, Orville Schell, Michael Szonyi, Steve Tsang and Jeffrey Wasserstrom, also signed the letter, as did several Canadian scholars, including Timothy Brook and Pitman Potter of the University of British Columbia, Hélène Piquet of the Université du Québec à Montréal and Jérôme Beaugrand-Champagne of McGill University. No Canadian political leaders, past or present, added their names. But several former Canadian diplomats and scholars have privately told The Globe that they have suspended travel to China. Late last week, Quebec City Mayor Régis Labeaume cancelled a planned delegation to the country. Indeed, “already, many scholars and experts from other countries are thinking twice about their need to visit China,” said Mr. Medcalf, a former intelligence analyst who heads the National Security College at Australian National University. Joint letter-writing has become an increasingly common way for diplomats in Beijing to co-ordinate condemnation of China on human-rights issues – in at least one instance after Chinese officials refused a request for a meeting to discuss international concerns. But the tactic has also been used by others – and, in at least one case, prompted an extraordinary response by Chinese authorities. In June, 2018, 45 experts and scholars published an open letter criticizing the continued imprisonment of Swedish bookseller Gui Minhai, who was spirited to China from Thailand in 2015. Soon after, the Chinese embassy in Stockholm began to call and write many of the signatories, “to spread its own narrative of the case,” said Jojje Olsson, a Swedish journalist who was among that letter’s signatories. The embassy response also served notice that people ”might risk getting visa problems or to lose their access to China in other ways” for their outspokenness, Mr. Olsson said. That letter failed to prompt the release of Mr. Gui, who continues to be held in China. Still, Joseph Caron, Canada’s ambassador to China from 2001 to 2005, said supporting the detained Canadians is still worthwhile. “I signed the letter because it is the moral thing to do,” he said.